This is just another way my grandma use to fix eggs for me when I was little. I still eat them this way today. With drinking glass turned upside down cut a hole in the center of your bread slices. Save the circle you cut out of the center of the bread. In frying pan over medium high heat, melt butter. Put bread slices in skillet along with the circles you cut out of the center of the bread. 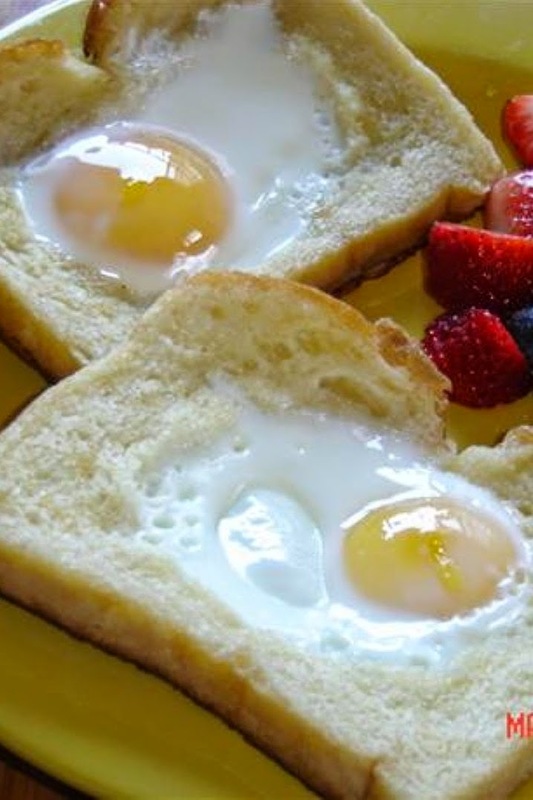 Crack an egg in each of the holes of bread. Cover skillet for a minute or two or just until egg is starting to set up, and when bottom of bread is browned, then turn and fry on other side until browned. Make sure you turn your little circles of bread over also. Serve with your little circles of bread on top of the egg.